Come on baby, let’s get ridiculous! Party people let’s get ridiculous! Wanna know a little something bout me? So baby let’s get ridiculous! 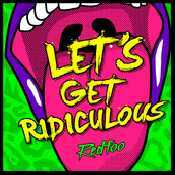 - Álbum "Let's Get Ridiculous" del año (2013)	.